When the school day is over, kids across our country experience radically different lives. 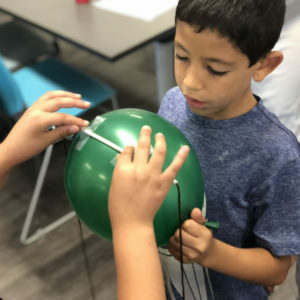 Some children get to recharge with a snack, play a sport, and do homework at a school-based program or under the watchful eye of a family member. Other kids don’t have these options because their families lack food security, their parents or caregivers work late, or they live in communities without safe places for youth to go. In California, over 30 Mercy Housing communities have out-of-school time programs that provide needed structure, support, and safety for young residents when they come home from school. Crossroad Gardens in Sacramento typifies our approach, in which Mercy Housing staff and volunteers provide support and activities that many young residents would not otherwise be able to access. Children engage in regular activities including circle time where kids share the highlights of their day. A healthy snack is provided, along with 45 – 60 minutes of academic tutoring followed by a fun activity. 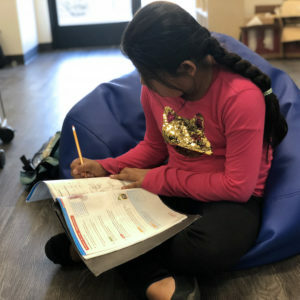 Thanks to a federally funded work-study program, students from Sacramento State University provide tutoring at Crossroad Gardens after school, which youth find especially helpful in tackling the trickier parts of their homework assignments. A few years ago, Mercy Housing initiated an ongoing effort to tangibly improve the out-of-school-time experience for children. We introduced new tools for staff to better assess, plan, and ultimately improve youth programming. This process included a range of improvements from expanding the curriculum to creating more reading-friendly nooks for children. Since the fall of 2016, attendance in the program has increased 33%, a strong indicator that the changes are working. At Mercy Housing, we recognize that community and home are about so much more than families having a roof over their heads. Home is also a place where children are heard, feel safe, and are encouraged to grow.